I write songs in the form and tradition of the Great American Songbook. I can front a small jazz group as lead singer and rhythm guitarist. 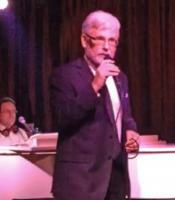 My set list includes jazz standards and originals. I have my own lead sheets and charts.